RadCartesianChart visualizes each data point from the BarSeries as a rectangle. 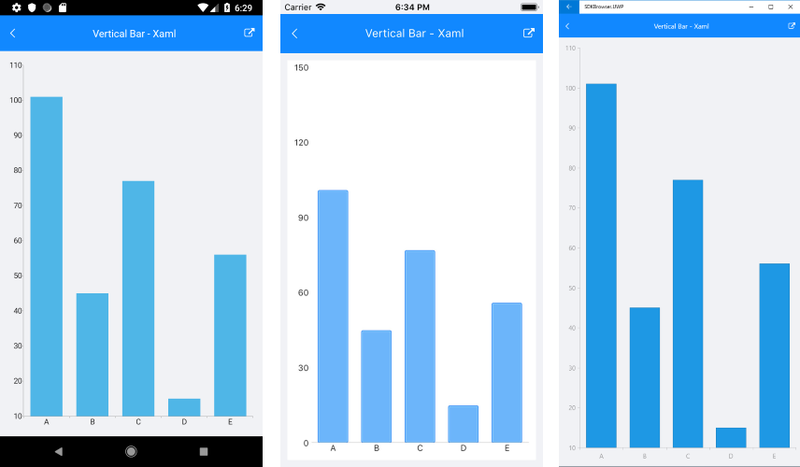 These rectangles (or bars) can be displayed either horizontally, or vertically, depending on whether the CategoricalAxis is the vertical axis or the horizontal. When the horizontal axis is categorical, the rectangles are displayed vertically. This means that they have equal width while their height represents the numerical value of each of the data points. On the other hand, when the vertical axis is categorical, the rectangles have equal height, while their width represents the value of the data point. The BarSeries inherits from CategoricalSeries and requires one CategoricalAxis and one NumericalAxis. You could check the common CategoricalSeries features that are also applicable to BarSeries at the following link: Series Features. A sample Bar Series example can be found in the Chart/Series folder of the SDK Samples Browser application. Series: The palette is applied to data point depending on the index of the owning ChartSeries instance. 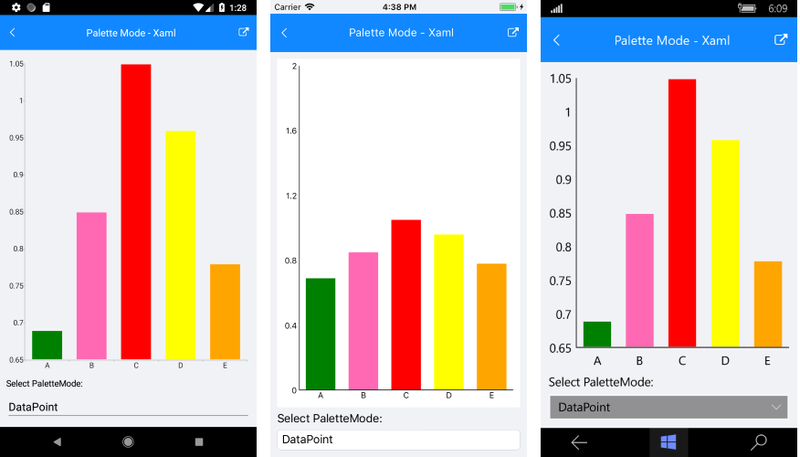 DataPoint: You can apply the palette to the data points depending on the index od each data point. The fill of the BarSeries can be defined using the FillColor property. 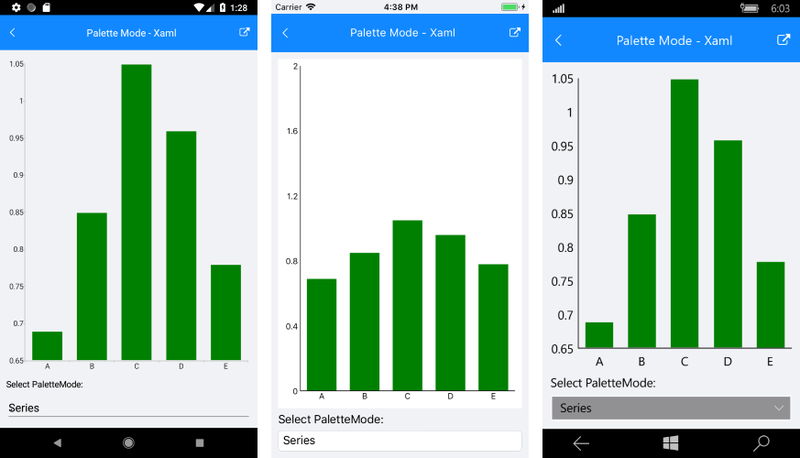 SDK Browser application contains an example that shows Palette Mode feature for BarSeries in RadChart cotrol. You can find the application in the Examples folder of your local Telerik UI for Xamarin installation.